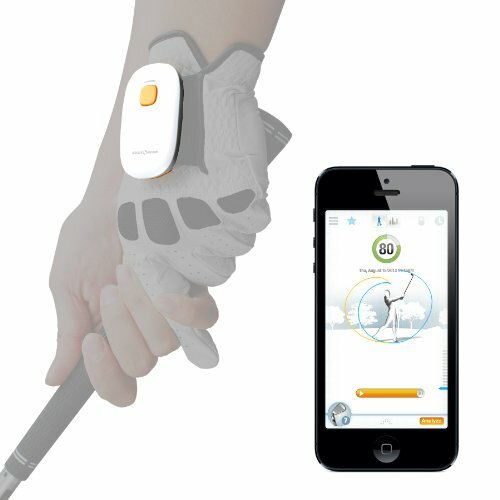 All you need to do is attach the GolfSense motion sensor to any golf glove and swing away to get instant feedback and helpful tips on your iPhone, iPad or Android device. GolfSense empowers you with the ability to see and analyze exactly what your club and hands are doing in 3D space throughout your backswing, downswing and follow-through. The products varied in popularity and customer acceptance, but in truth they rarely made much of an impact (the titanium driver being one very notable exception). It works much like a Wii remote in determining the angular momentum, velocity, and directions of your hand. These measurements are then converted to a computerized golf swing that can be viewed from a variety of angles and aspects (see the video). In addition, you have the ability to compare swings across time ranges to see how consistent (or inconsistent) your swing has been over time. 3D Golf Swing Analyzer - Buy Now!